I first read this book last year and loved it. I decided to re-read it again when I was invited to the most amazing and wonderful tour imaginable. More about that later, first the book. Synopsis from Goodreads:- In the right dose, everything is a poison. Even love . 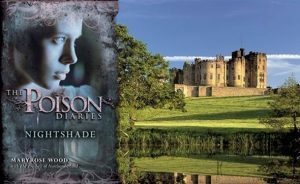 . .
Jessamine Luxton has lived all her sixteen years in an isolated cottage near Alnwick Castle, with little company apart from the plants in her garden. Her father, Thomas, a feared and respected apothecary, has taught her much about the incredible powers of plants: that even the most innocent-looking weed can cure — or kill. 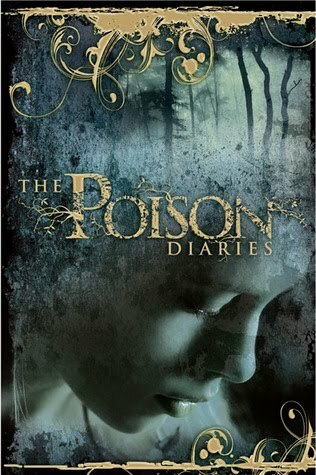 Review:- The Poison Diaries by Maryrose Wood is based on a concept the Duchess of Northumberland came up with. She resides at Alnwick Castle and created and tended to the Poison Gardens there, along with the other gardens in the ground. It opened to the public ten years ago. Maryrose Wood’s writing brings the gardens to life, she uses amazing imagery and you can virtually smell the plants growing around you as your read. The story is based around Jessamine, who is an Apothecary’s daughter. She has lived their all her life in the isolated cottage with only her father, the plants and an occasional passing visitor for company. Her mother died when she was a young girl, so she took on the chores of running the house and tending to the gardens. She is 16 in the story and very naive for she has been sheltered from the outside world. Her father has a locked garden where she is forbidden to enter, as the plants are poisonous. The plants can kill and they can cure, but can the lines be blurred? This makes it all the more alluring to her. Then a young orphan boy named Weed comes to live with them. Both naive but both have an affinity with nature, especially Weed and both become fond of each other. They fall in love and it is beautiful to read. Weed is a great character, I fell in love with him. He’s honest, special and different. They are very sweet together. Weed has a closely guarded secret, we know but it takes time for Jessamine and her father to find out what it is. There is a twist at the end which is very unexpected and the ending will leave you shouting at the book. I cannot wait to read the second book in the series, I cannot wait to see what happens next. I highly recommend this book to everyone. The book is different from what I have read before. It’s a nice easy, fun and exciting read, which will leave you gasping at the horrors of poison, amazed by the naivety of the young and in awe at the wonders of love. I wrote a poem based on the Poison Diaries if you want to check it out. They are inspirational. Have a look at one of the competition winners entry over on her blog. I love Lynsey’s poem. Now on the the exciting trip of a lifetime. I have been invited along with some other bloggers and competition winners to a Poison Diaries event for the launch of the second book in the series Nightshade. I cannot tell you how excited I am about this. On Wednesday morning I will be heading on a train to Alnwick, home of the Poison Diaries and home to the recent Hogwarts filming. Yes really. How gorgeous is this castle? I went here on my honeymoon to visit and was in awe then, never mind getting to stay in it. Yes that is right we get to spend the night in this amazing place. Not only that we get a tour of Jessamine’s World and a reading of Nightshade by none other than the Duchess of Northumberland herself, how amazing is that. We get a candlelight tour of the Poison Garden, I think this is going to be my favourite part of the tour. We will get introduced to all the plants which feature in the book. We will also be having dinner in the Treehouse Restaurant. Yes it really is a treehouse, a giant one. You are so jealous now aren’t you? Don’t worry I will be back to tell you all about it, and there will no doubt be some tweeting along the way. Be warned there will be lots of pictures coming up on the blog in the next week or so. Can you tell I am super excited about this trip. You can find our information on Alwick Gardens on their website. Also there is a website for the castle itself if you fancy a visit. If you want to find out more about the Posion Diaries trilogy there is a blog, twitter, website and facebook for further information and amazing competitions, to keep checking. Disclaimer:- The book was my own copy which I did a review on because I wanted to share it with my readers. The trip is association with the Poison Diaires in associate with Harper Collins. This however does not affect my review, which is my own opinion.